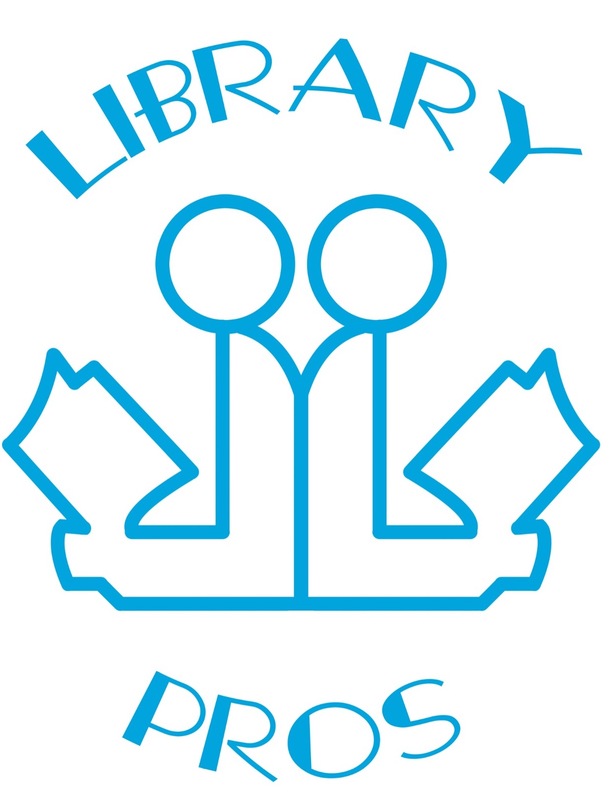 During the winter, I had the good fortune to be interviewed by Christopher DeCristofaro and Robert Johnson for their Library Pros Podcast. Chris and Bob are technology librarians/technologists in Suffolk County (NY) and their podcast reflects their love of libraries and technology, and everything in-between. Our conversation focused on accessibility of libraries and content, which is an increasingly important topic for all of us. What we talked about was broader, in regards to this topic, than you might first imagine...and it was fun! If this topic interests you, you can listen to the episode on their web site or through many podcasting platforms (e.g., Stitcher). The episode is 75 minutes in length. Law librarians Virginia M. Tucker and Marc Lampson have updated their book, Finding the Answers to Legal Questions. As a follow-up to that new edition, ALA interviewed the authors. The interview contains a few words of wisdom for librarians, who are asked legal questions. In graduate classes, library science students often ask about when they should or should not provide advice. I like that Tucker and Lampson have tackled that question in this interview. I also spoke at the Upstate NY SLA Chapter spring conference. I did an interactive session on goal setting. Slides and handouts are on Slideshare. Description: Most of us have heard the phrase “plan your work and work your plan,” often in a moment of despair when we wonder what to do next. 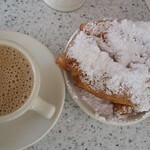 The conundrum of what to do next is due to fuzzy goals. This working session will begin information on goal setting, which is that upfront work needed before you plan. There will then be time/structure for participants to develop their goals (personal or organizational) and the outcomes that go with them. In other words, what do you want or need to achieve, and how will others (i.e., your boss) know that you have achieved them? What (broad or specific) steps do you need to consider, in order to get from start to finish? Lindsay Cronk and Lindsey Rae presented on methods of collaborative leadership (#LeanBackAlready). The tensions in our workplace need to be acknowledged. They mentioned a number of areas where we need to have balance including leaning in versus leaning back. 82% of workers say that their leaders are uninspiring. (Gallup survey) 65% would forgo a raise if it meant their leader could be fired. Librarianship is already collaborative and feminist in so many ways. We share knowledge and spaces, empower learning...but there is a leadership blind spot. Where do we see tensions in librarianship? We see tension in our collections, as well as who is represented in those collections. Men heavily impact what we collect because they are the majority of authors, publishers, and reviewers. 88% of librarians are white and heavily female. We don’t represent our communities. The traditional language of leadership is often masculine. Discomfort and distrust of power and leadership is natural. The pink diamond of feminist leadership - There are values and principles. Lindsay and Lindsey placed their slides and resources online. 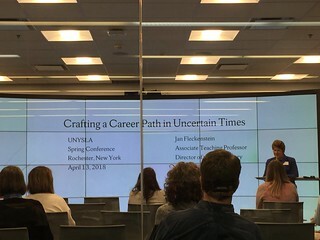 Jan Fleckenstein presented on crafting a career path. Today’s leaders are actively looking for the next leaders of their organizations. What does a career path look like in this day and age? When they need somebody to take on a new project. When they need somebody to take on a ewe role. When they need somebody to do the unglamorous work that keeps the organization functioning. Say yes! You put yourself in the position to be asked to to do the next thing. This is how you get to leadership roles. There are things you have to know or learn as your move up any career ladder. Find opportunities to learn them. An important thing to do is trust. Trust your boss. Does your boss trust you? if people trust you, more information on funding will be shared with you. Yes, sometimes you need to do this in order to become a leader. Enhance your credentials as you go along. Work to gain and demonstrate knowledge. Deciding not to pursue a managerial track? I’m a specialist in my area. Do I have to move into Administration? No! We cherish our specialists. At the Upstate NY SLA Chapter spring conference Chris Miller presented on the feared word, "feedback." “Positive” feedback may actually be no feedback, which leads us to do more of the same rather than making a course correction. “Negative” feedback is what we want. The information, observation or insight can help us do a course correction. This may be seen as “constructive” feedback. Your reptilian brain may see feedback as criticism and thus as an attack. We need to improve our abilities to give and receive feedback. Everyone wants feedback, especially millennials. Leaders need feedback and they should model how to receive feedback. Summarize and clarify - start with closed ended questions to ensure that you’re on the same wavelength, then use open ended questions to clarify what you’re hearing. Chris had us to an assessment on how we deal with feedback and then comment on three quick scenarios. In giving feedback, many use the sandwich method by putting the negative feedback in the middle of positive feedback. This doesn’t always work because people may cherry pick which feedback they hear. Chris said this is not a good model. Being specific and concrete - focus on description, not judgement. Focus on behavior not the person. Making it a dialogue - it doesn’t have to be an immediate dialogue. If you need time to think, say so. Timing of the feedback - close to when the event occurred (in other words, not once a year). Perhaps ask how often someone wants feedback. Aim for the midpoint of an “Inverted U” - consider feedback sessions 1-2 per month. Make the feedback positive and negative. The keynote speaker at the Upstate NY SLA Chapter spring conference was Rochelle Mazar, who spoke on leadership. We change because we want to. It can be slow. As leaders, we cannot force people to change. However, we need to think about the context in which our staff are functioning. We can change the context. Culture and context tell us what is expected. We can spend a lot of time looking at context. Mazar focused on “us” (leaders) as context. Why are you a leader? Why is it you? Expertise, best at whatever, competence, specialized knowledge? This is often who leaders are. However, if the leaders knows it all, what is left for the team? 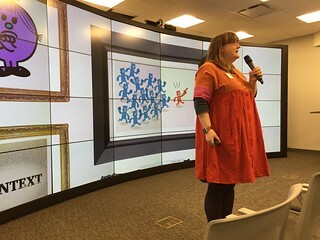 What if your reframe leadership as guiding, making connections, empowering people, advocating, having a big picture perspective, clearing obstacles. When we take on this role, we make room for staff, their ideas and the tasks that they own. Leaders need to acknowledge their own mistakes. Mistakes make the leader seem human. Embracing mistakes means that your are embracing experimentation. Leases automatically have power. How do you want to distribute it? Do you need all of the power in every moment? Sharing power demonstrations trust in your staff. How do you let staff soar? Have high expectations of staff. When you do that, you are showing respect for the skills that staff have. Focus on outcomes and not process. Use their expertise. Remember that all staff have something important to offer. Question: How can we handle when staff leave/retire? Have the retiring staff member document what they have been doing. Then make sure you have a good onboarding for new staff. Someone noted that millennials may not stay long in a position (3-5 years). Have a plan for how you will handle that turnover. Also remember that new staff are bringing skills with them that you may not have had before. Question: How can you help staff get past negatives or institutional baggage? As leaders, we need to be honest and face issues. We need to lean into it and learn how we can do things differently in the future. What about issues at a high level that we cannot control? We need to help people cope. You may need to over share information, so people know what is happening. Over sharing is not dropping the leadership hat. Good leaders are willing to explain the real circumstances. Question: How can consultants use this? Recognize that when you walk into a situation, you have all/much of the power. Question: How do you share ideas with a leader who doesn’t want to hear them? Solutions proposed by the group included sharing info with the leader in a way that leaves the person in power. Question: How do you get staff to empower each other? Find ways of getting staff to share ideas with each other. Experiment. 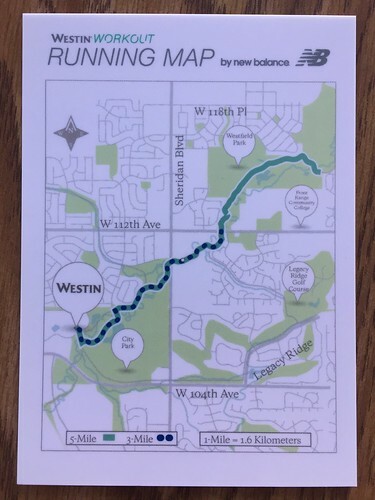 The Westin Hotel in Westminster, CO had this map available in its fitness center. I know it looks like nothing special, but it is not the look that caught my attention. The Westin is near an amphitheater and a park. The terrain isn't quite flat, but it isn't mountainous either, which makes it good for a walk or run. This small 5 1/4 x 3 3/4" map is the perfect device for helping someone get in a good workout. The front side is the map, while the back side contains map directions. What makes it special, though, it that it is plasticized paper. Yup, waterproof, sweat-proof, snow-proof, rain-proof and mud-proof. Since this is a blog about digitization and copyright, lets notice that this map has clearly taken advantage of a map (or maps) that already existed. Likely whatever map which was the basis for this was modified to fit the need of this specific running map. I don't know if using that underlying map was "fair" or if New Balance, who actually created this map, paid for the use. Whichever they did, I trust that they have kept it legal. But let's also notice that this map - contents and type of paper - was made with its use in mind. We often create aids for our users that meet our needs (the library's needs) and don't always consider how a person will use them. Are we providing content in the correct format, language, etc.? I suspect our community members would be happier if we spent a moment thinking about that before we create materials for them. I found this 2012 article and it is worth sharing with you. Options for access to electronic scholarly and educational information continue to increase each year. The Internet supplies entrance to many digital libraries, discipline repositories, Institutional Repositories (IRs), open access journals, and subscription journals. Today it is common (and some argue necessary) for a university to have an institutional repository showcasing the scholarly output of an institution. As repositories continue to expand and become more relevant, the benefits and challenges of running and maintaining them grow. 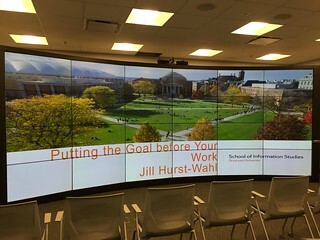 This article details a project by the Merrill-Cazier Library at Utah State University that utilizes partnerships and collaborative opportunities between departments. Specifically, the project sought to determine how feasible it is for subject librarians to participate in copyright clearance for the IR. 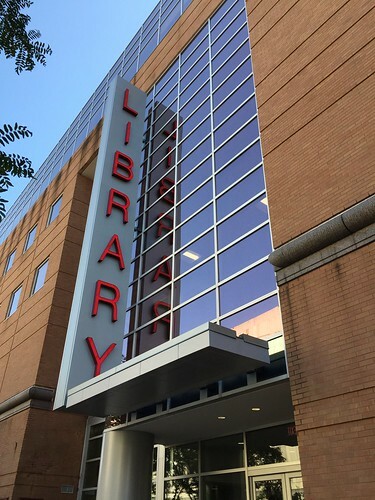 The library’s decision to perform copyright clearance on behalf of authors submitting to the IR is an attempt to encourage faculty support and use of the IR, while requiring very little time and effort on their part, especially considering the time intensive nature of copyright clearance work. As IRs strive to include accurate metadata and access to as many works as possible, the process to obtain permission (copyright clearance) to include a copyrighted full-text can involve time consuming steps. Thus IRs are faced with a bottleneck. This article identifies the benefits and challenges for the subject librarians and the repository in pursuing this goal. 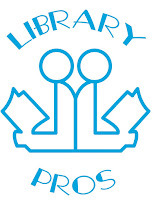 This week, April 8-14, is the 60th anniversary of National Library Week in the U.S. This is the week when we celebrate all libraries, no matter their type. The expectation is a library will somehow promote itself during National Library Week, but in reality a library should be promoting every day. This week, I hope that you will find a way to promote your library or the library which you use. Post a photo of it to social media. Share how you use its resources. Use this week show to those around you what your library means to you! April 11: 1:00-2:30 p.m. ET (webinar) - part of a three-person panel entitled "Can There Be Neutrality in Cataloging? A Conversation Starter" for NISO. My presentation is entitled "Access Requires Subjectivity." The event's description is: How does one create awareness of the bias that may be introduced into automated systems? This session will look at the selection of vocabulary in establishing taxonomies and ontologies. What is the real nature of the issue? How might establishing, maintenance, and use of a thesaurus contribute to a more inclusive search/discovery process? And where should responsibility lie for developing such ostensibly neutral tools? How can we bring more diverse voices into the development/maintenance of these resources? April 13, Upstate New York Chapter of SLA Spring Conference (Rochester, NY) entitled "Lead from Where You Are." I'll be leading an interactive session on "Putting the Goal Before Your Work." Also, last year I recreated a graduate course in the Syracuse University iSchool entitled "Collection Development and Access." I taught this class in the fall quarter and it went very well and will be teaching it again beginning later this week. This class is taught with a combination of asynchronous content and live (synchronous) sessions. 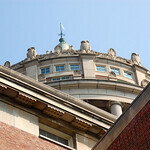 Our online classes used to be just asynchronous, but now we (SU iSchool) now offer our MSLIS degree in this format. If this online format for an MSLIS program would be of interest to someone you know, please point them towards our iSchool Online web site. Of course, if anyone is interested in our on-campus format, we have information on that, too. 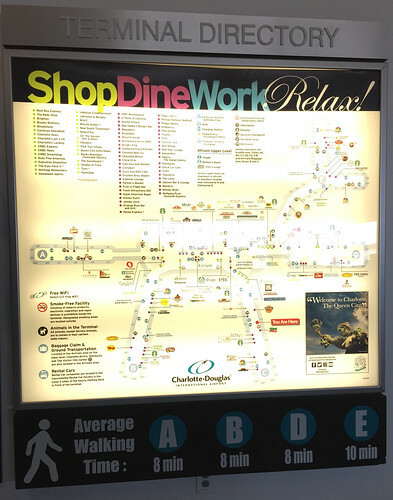 I have traveled through the Charlotte Douglas International Airport (CLT) in North Carolina several times recently and this sign below stood out to me. CLT is a sprawling airport and people often have to move from one terminal to another. Notice the information at the bottom which gives an indication of how quickly a person can walk between those different terminals. Those average walk times can be comforting to someone or might help someone who walks slowly to seek assistance. The overall message, though, is that the airport is a manageable size and that you can get to where you need to be. Think about your library and the information you provide to community members. Do you give people clear indications of what is where? Does your signage provide answers to those questions you receive frequently? 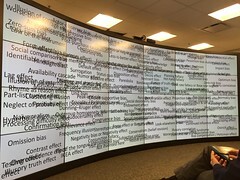 The idea is to not have so many signs, which might cause people to not read them, but to provide good information to people when they need it. So what could you be doing?